I was first diagnosed with Hyperthyroidism way back in 2006 (Oops. Don't worry, this is not a sad story lol). I was around 14 years old that time. Since I had a health card, I did not care about the rates of my check-up and blood tests. Now that I don't have my HMO benefit yet (because I just got hired by my new employer last May 2017), I realized how expensive it is to pay for my medical bills. 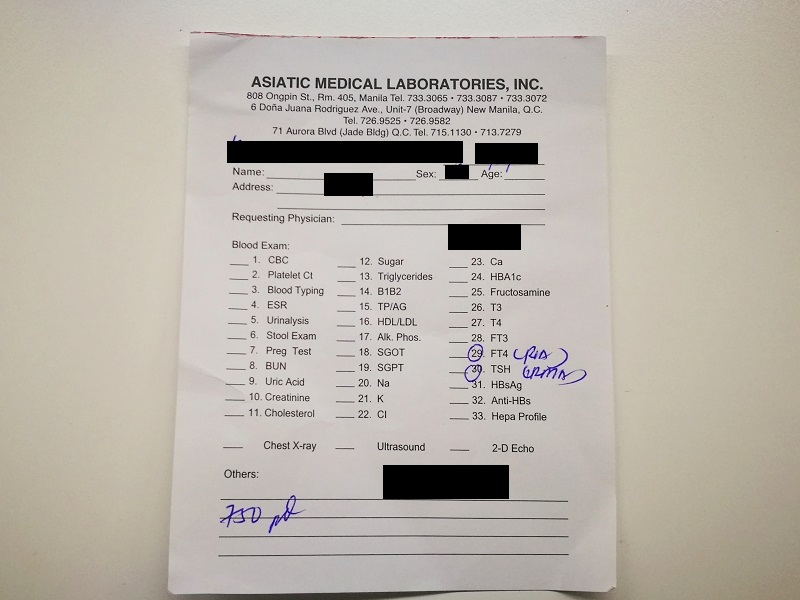 Without a health card, I would have to shell out around Php 1400 to Php 1600 for my FT4 (RIA) and TSH (IRMA) blood tests, then another Php 800 for my doctor's fee. Last June, I had my blood test run at Hi-Precision Diagnostics in Pasig. I paid around Php 1400+. If I had it done at Medical City or Friendly Care, it will cost me roughly around Php 1500. 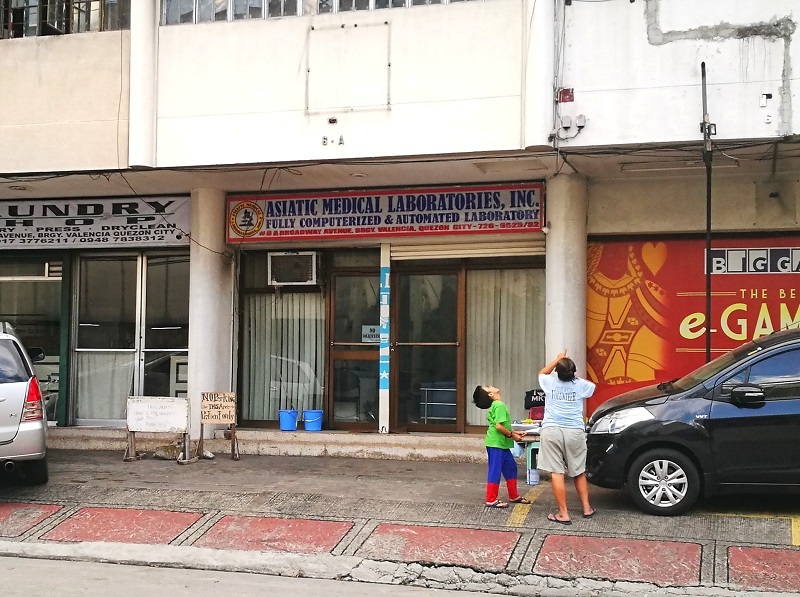 The search for an affordable laboratory continues, and I'm just so happy to discover Asiatic Medical Laboratories (Yes, I'm that happy! Why would I even bother to spare some time and blog about it. As you may have noticed, I have been inactive for how many weeks already because I'm so busy with work and grad school). Note, this is not a sponsored post. So anyway, early this morning, while walking from the parking lot to our office, I decided to inquire at the said laboratory. Guess how much did I spend for my blood test? SEVEN HUNDRED FIFTY PESOS... Yes, Php 750 only. Huhu, ang mura, I'm so happy LOL! It did not take me more than 10 minutes to inquire, pay and had my blood extracted (I think I was their first customer for the day). I was also surprised that I can immediately claim the results in the afternoon, around 5pm. Normally, you will get your FT4 (RIA) and TSH (IRMA) blood test results at least after 3 days, depending on the running schedule of the laboratory. How convenient!